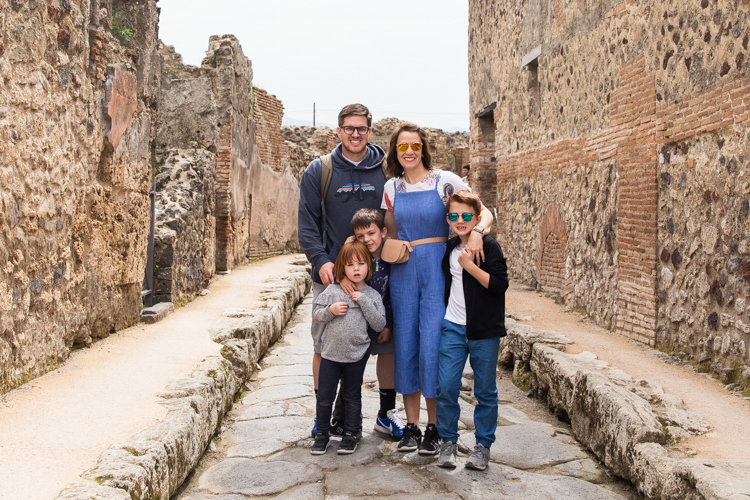 Last week, we took a family trip to Italy for Spring Break. It was the belated family Christmas present that we had been counting down to since Christmas morning. Our “Christmas in April” turned out to be really amazing. On the flight home Dave asked “Should we do a spring break trip for Christmas every year?” It’s not a bad idea, trading the gifts that may had already been forgotten by now for months of anticipation and a week of memories we will cherish forever. It is Less Stuff, More Adventure at it’s finest. I’m going to be sharing the details and itinerary of our trip in a few different posts. Both because it will be easier to reference just the pieces that you want to find later, and also because I have about a thousand pictures I want to share and breaking up the posts gives me more opportunities to do that. 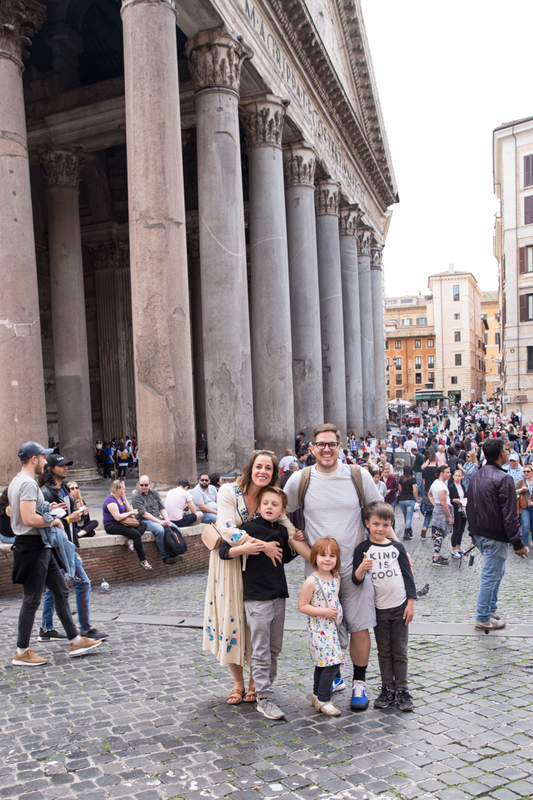 This post will answer some of the questions I have had about this trip and give a basic overview of our family trip to Italy. The planning for this trip began in September last year. We were in the middle of our More Than Enough Stuff Challenge, wherein we didn’t shop for the year. This meant we wouldn’t be buying any Christmas gifts, so I was on the hunt for great ideas for a gift of experience we could give to the family instead of the usual wrapped presents. Finally, I decided that rather than consider every single offer as realistic, I would think of the top 2-3 place I wanted to visit soon, and wait for those flights to pop up. That gave the emails offers some focus, and I could easily delete them without feeling FOMO every day. Ha! While I have traveled to a lot of European countries (most recently England, France, and The Netherlands) I had never been to Italy. 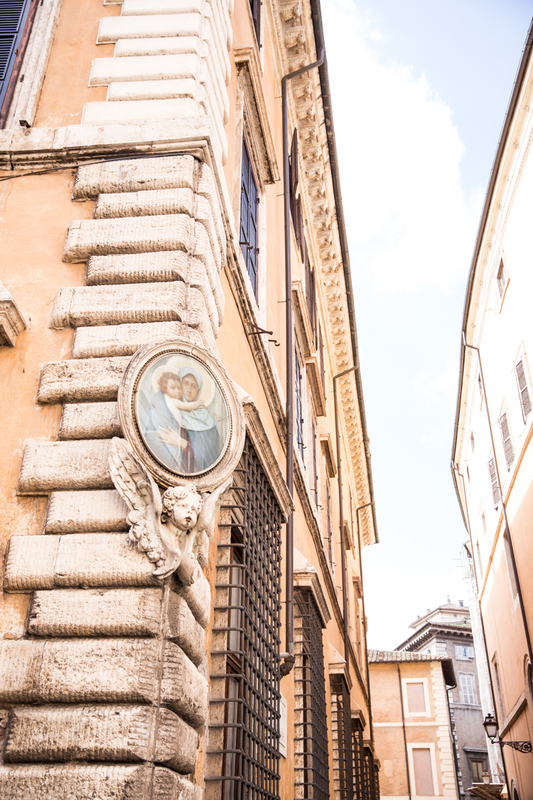 I love Italian food, language, culture, and the history and art of the historic cities. So, naturally, Italy was at the top of my list. When flights from DC to Rome for $275 round trip popped into my inbox in September, the lightbulb of what to do for Christmas flipped on. A family trip to Italy! We can rarely travel back to see family in Utah for that price per ticket, so the flights seemed like a no brainer. The time-frame for the deal was from Mid-March to Mid-April, and while that wasn’t prime Christmas vacation time, it did fall right over the kids’ spring break. I quickly double checked the school calendar, called Dave, and within a half-hour we had 5 round trip tickets to Rome. If it seems like it was too easy, it felt that way to me too. It was definitely a flow moment, where I had gotten pretty clear about something I wanted, and then it appeared. If I hadn’t taken a minute a few weeks before to make a choice about those flight emails, I might have hummed and hawed about the Rome flights like I had about the others. But because I was looking for Italy, I saw it! The flight landed in Rome, which is a obvious city to explore on a first trip to Italy. Knowing we would be traveling with our three kids, ages 8, 6, and 4, I didn’t want to pack the schedule. I thought 3 days in one city and 2 in another sounded perfect. Add in 2 days for traveling and we were set! Looking for other cities to visit, I remembered a friend had recently taken a day trip from Rome to the Amalfi Coast, so I knew it must be nearby. 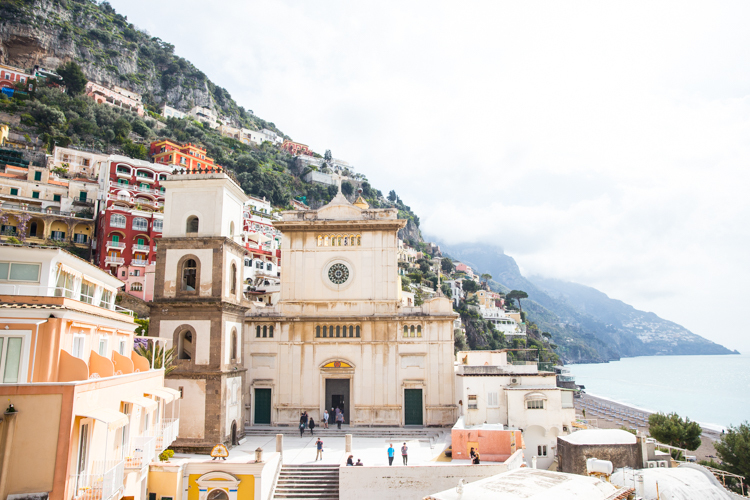 Another friend of mine was married last year near Positano, which had put it the small, coastal town on my radar, and as I looked into it, Positano seemed a perfect place to spend a couple days. 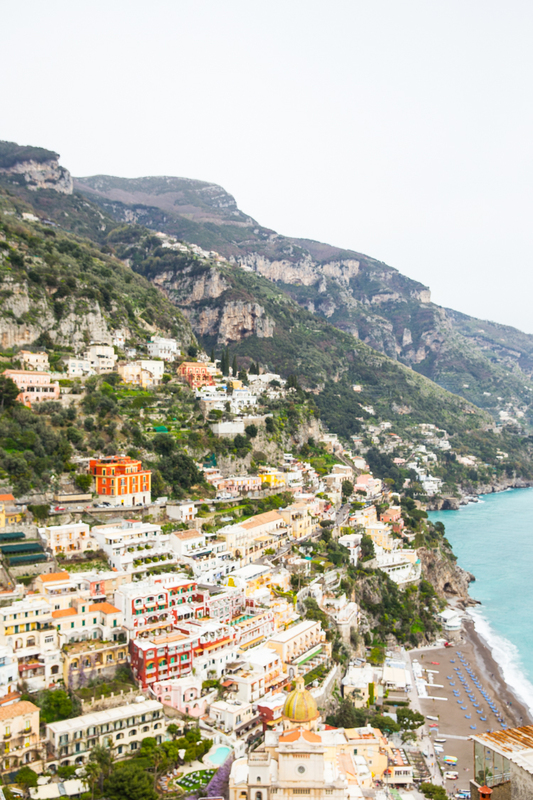 There is a train that runs from Rome to Naples, then a bus or taxi will take you all the way to Positano. 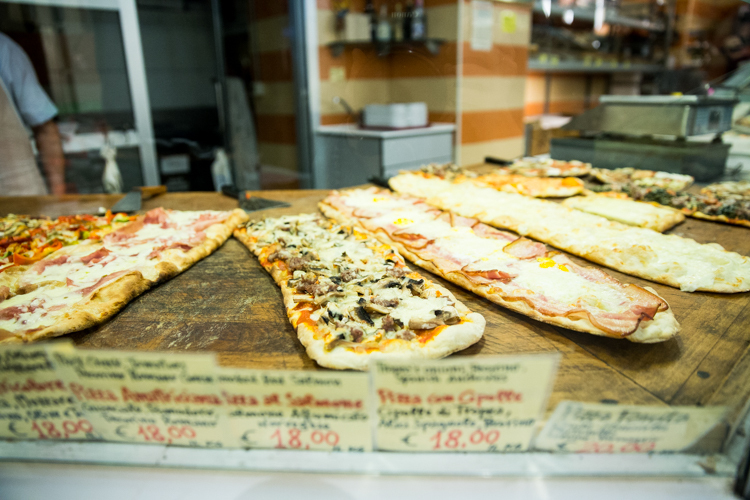 Because of the natural stop in Naples, we decided to spend one night there to eat pizza (how could we pass up a the chance to eat Pizza in Naples?!) before moving on to the coast. 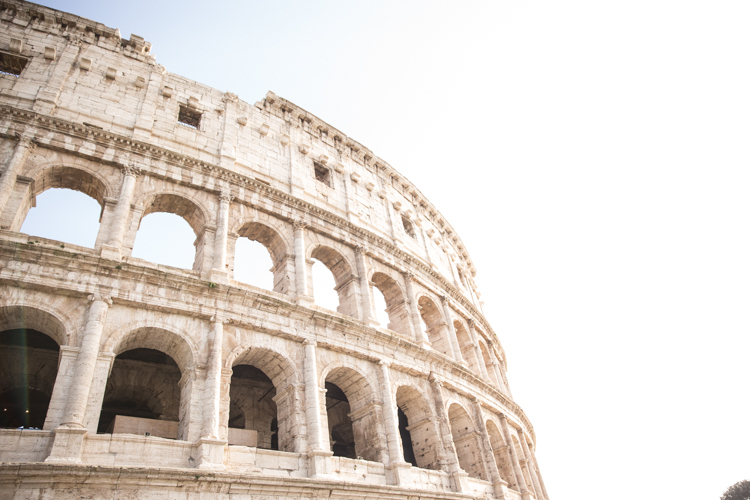 Our flights in and out of Rome determined a lot of the order of the itinerary. The flight home was early in the morning, so it made more sense to do Rome on the tail end of the trip so we could be settled into a flat for those last couple days before flying out. That meant we would fly in and continue traveling that day to Naples, then onto spend two days in Positano, and return to Rome for the last three. One thing I have learned from traveling a lot in my life is that I much prefer to spend a few days in one place and try to get to know it well, than try to see everything everywhere. With this in mind, we didn’t even try to fit visits to Florence, Venice, or any other amazing Italian cities into the trip. We could have easily just stayed in Rome the whole week and not seen all the sights there! I loved the chance to get a little city and a little coast into our week. It was perfect. We made a couple last minute adjustments to our itinerary right before we left. Our flight from DC was scheduled on a day that Air France was planning to have a strike, and the airline allowed us to rebook and leave a day earlier at no extra ticket cost. So, we gained a bonus day! This literally happened the day before we were to leave, so the easiest option was to simply book one night at another air bnb in Rome and then continue on with our previous reservations starting the following day. We also added a short trip to Pompeii between Naples and Positano, because we found a taxi driver who was willing to take us to Pompeii, wait at the car for a couple hours with our luggage as we explored, and then take us into Positano. Luigi the taxi driver turned out to be a super wonderful part of our trip, and we were lucky to find him! There are so many options for where to stay while traveling. 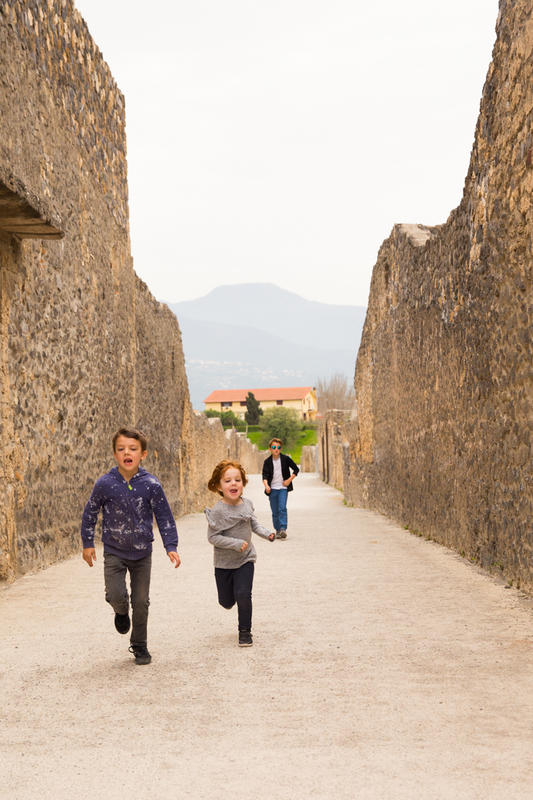 Traveling with kids changes the priorities because all of the sudden we need space for 5 people, space for them to stretch out and play, somewhere they can rough house during down time. For this trip, we chose to stay in Airbnb’s in each of the three cities we slept. A lot of European hotels only allow up to 4 people per room, so having 5 becomes a limiting factor. I also love staying in Airbnb homes and being able to choose spaces a little more off the tourist track, where we might have a little more of a local feel. That said, for this trip, I also wanted the flats we chose to be bright, pretty, have style and personality, and feel like vacation homes rather than budget apartments. The great thing about Airbnb is that you can easily find what you’re looking for. If you have never used Airbnb before, you can use this link to receive $40 off of your first booking! Sign up through that link and it will automatically apply $40 credit to your first stay. Win! 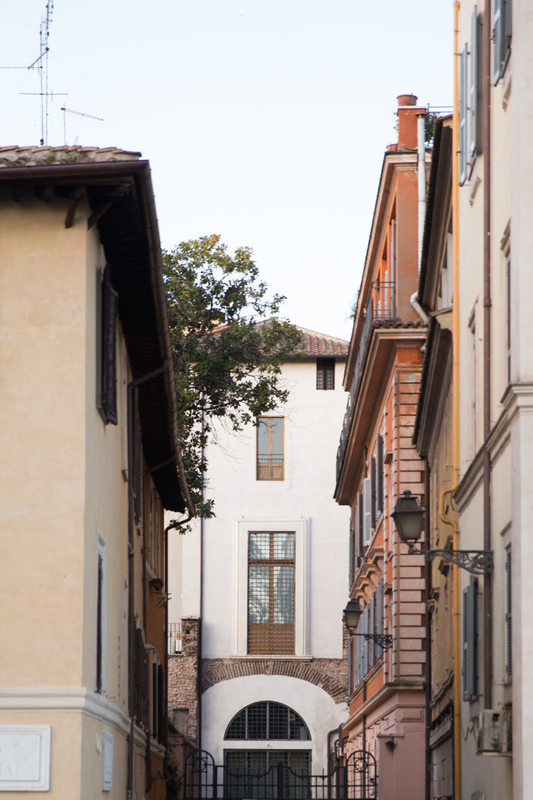 We booked this last-minute flat in Rome for our bonus night, and it ended up being amazing. Light, clean, and right around the corner (ten blocks or so) from The Colosseum. Our house in Naples had this amazing terrace on the top floor. No mind you had to climb eight flights of marble stairs to get there. Ha! 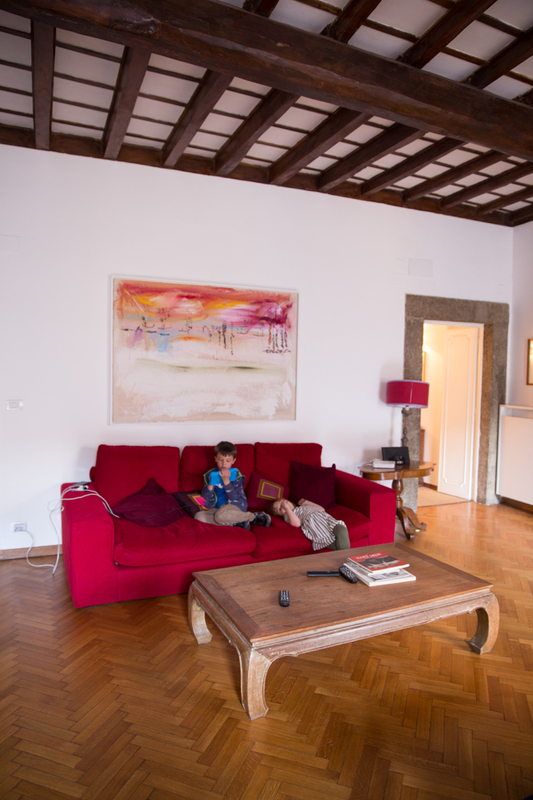 This gorgeous apartment in Rome was on the higher end of what we wanted to spend per night, but I kept coming back and back to it because it looked so beautiful. 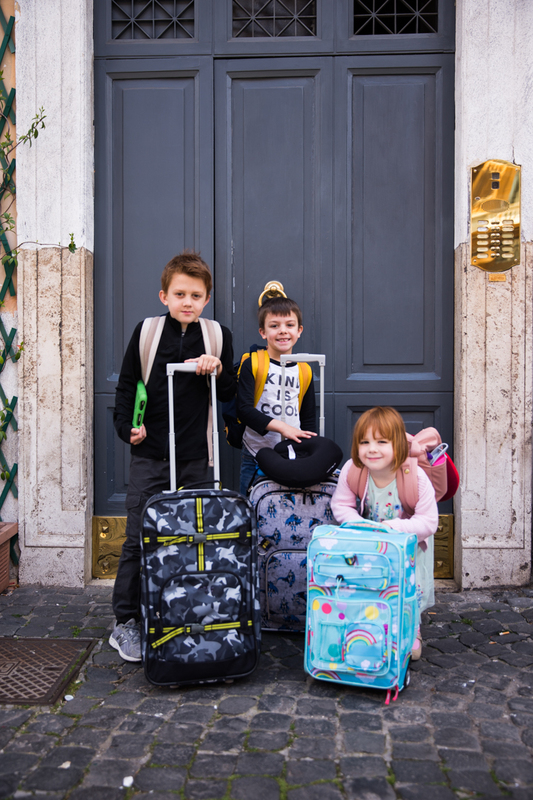 A YouTube video about traveling to Rome with kids I had watched recommended Via Guilia as a perfect place to stay, and that gave me some direction for where to look. The space was amazing. Soaring ceilings, picture windows looking across the alley to the church, huge rooms, and the most beautiful artwork and furniture. It created such a fun backdrop and home base for our trip, and we didn’t feel bad at all spending a long morning sleeping in, or taking a break back at the flat with the kids in the afternoon, because being there felt like part of the trip itself! To be honest, other than our flights, I had no idea how we were going to get around once we landed in Italy. I knew there was a train to Naples but didn’t book tickets ahead of time in case we needed some flexibility in timing. I know a lot of people plan to walk the whole city while in Rome. The major sites are all within a couple mile radius, and would be pretty easy to do on foot as adults. With our kids, however, we planned to be flexible. We used a combination of lots of walking with Ubers (in areas where we couldn’t easily find a city taxi) and regular taxis. Some drivers were reluctant to take us with 5 people, others didn’t bat and eye. We took an UberVan from our flat to the train station because none of the regular street taxis would stop for all 5 of us with bags. The train turned out to be really easy to buy tickets at the station ticket machines, then find the right platform. We took a taxi from the Naples station to the airbnb, and asked the host to call us a taxi to go to Pompeii and Positano the next morning. We walked from the Naples flat over to the boardwalk for meals and to explore. The taxi driver who we found in Naples was Luigi Vozza, who drives routes all along the coast. He was super nice, and acted more as a tour guide than just a taxi driver. He stopped at a favorite bakery when he learned we hadn’t eaten breakfast. Then, at Pompeii he helped us skip the line by talking with the ticket counter. He waited with our bags and picked us up to drive to Positano. 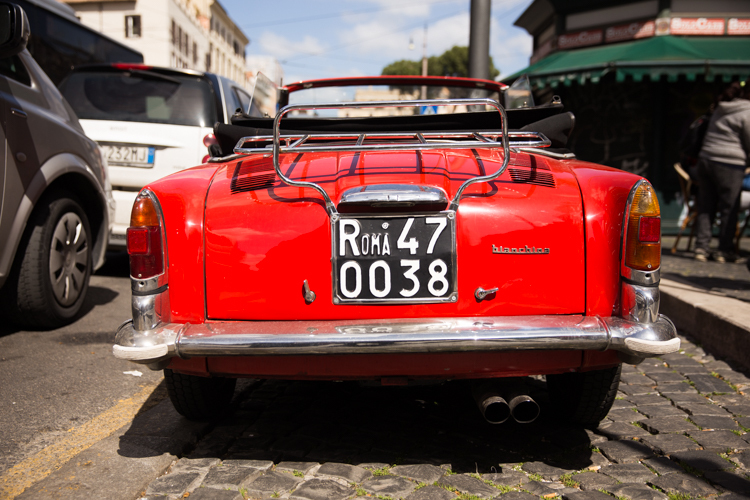 The total cost from Naples through Pompeii to Positano was $200 euros. The bus would have cost $125 without a stop in Pompeii, so we definitely got a great deal. He also offered to drive us the return trip from Postinano to Rome after our stay. The bus + train + taxi fares for a return trip without him would have cost around $400 euros, and he offered to do the trip for $500 door-to-door, driving along the Amalifi Coast on the way, rather than taking the tunnel straight to the highway, so the trip would be scenic. That also felt like a no-brainer. If you don’t have a Luigi for your Amalifi adventure, I know the local taxis have flat fares for their city-to-city transport. Luckily, Luigi has a facebook page for his company, so if you want to book him, find him here! I was fairly certain that we wouldn’t have trouble finding good food on our trip to Italy, so I didn’t do much planning or research. I had a couple friends offer suggestions and recommendations, and as usual Instagram was a great place for receiving advice. There were only a couple places that we planned to eat, and set out looking for. Most of our meals happened as we were exploring and got hungry. We would check a few menus, feel out the vibes of the restaurants, then choose one. We weren’t every disappointed. In fact, the one spot that I was most on the fence about turned out to be my oldest son’s favorite of the trip! Unlike some vacations were I literally plan the itinerary around the restaurants where I want to eat, this trip was more like a food adventure. We ate amazing pizza, pasta, seafood, gelato, and drank about a hundred orange Fanta sodas, that tasted way better than I remember them tasting in the states. You Only Regret The Trips You Don’t Take! This family trip to Italy was a dream. My school-aged kids may not remember all of the details, but they did get to live them! They ran around in the Roman Forum, climbed on ruins in Pompeii, swam in the Mediterranean Sea, and ate pizza and gelato every day for a week! It was heaven for them! 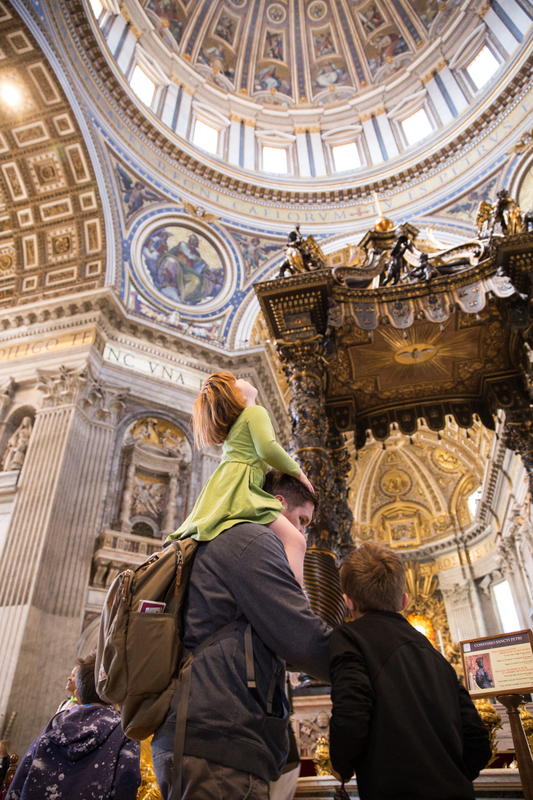 As parents, we will definitely remember bringing our young family to explore abroad. We forever have these pictures of our sweet little crew wandering the narrow streets in Rome, and the kids faces as we tried fresh lemon sorbet on the side of the road in Amalifi. All of these experiences form the culture of adventure and exploration that we hope to cultivate in our family, and this trip was a wonderful manifestation of that desire. I am excited to share more of the details of the different parts of our trip. And we all tossed coins into the Trevi Fountain– using our right hands, over our left shoulders– so we will definitely return someday.